The city of Paso Robles may be known for its renowned wine country and events, but this area was first occupied by the Salinan Native Americans and then pioneers who found solace in the natural hot springs and rich agricultural land. Gaining fame for its healing properties, El Paso de Robles became a dignified health resort where people flocked to enjoy the benefits of the mineral springs and mud baths. As the area continued to grow in size and business, Paso Robles as we know it today was developed, with the famous Paso Robles Inn and the many successful wineries. Lucky for us, much of this amazing history has been preserved for current visitors to see, explore, and experience. 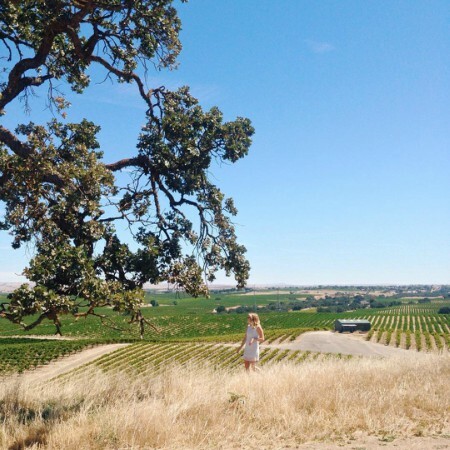 Create your own story in Paso Robles and contribute to this amazing history with a visit to these amazing historical spots! Although just outside Paso Robles, the James Dean Memorial Junction in Chlomane is a piece of history that can’t be missed. On September 17, 1955, James Dean filmed a commercial for the National Highway Safety Committee announcing to the public the importance of safe driving. Just two weeks later on September 30, as Dean was driving down Highway 46 (then known as Highway 466) in his brand new, silver Porsche he collided with Cal Poly student Donald Turnupseed. The twilight hour camouflaged the color of his silver car, making it impossible for Turnupseed to spot Dean as he made a turn, unfortunately causing Dean to pass away in this tragic crash. 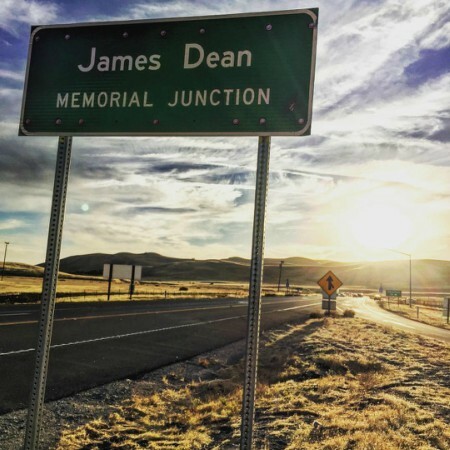 In September of 2005 the highway was officially commemorated as the James Dean Memorial Junction at the intersection of Highway 46 and 41 where the crash occurred. There are more memorials in the area, including a stainless steel memorial outside of Chlomane post office and two wooden signs of James Dean outside Blackwell’s Corner General Store (also known as James Dean’s Last Stop). There are even some spooky stories claiming his car was cursed and ghost encounters with Dean late at night on the highway. The Paso Robles Inn has a history that dates back to 1857, when James and Daniel Blackburn purchased the 25,000-acre Spanish land grant by the name of El Paso de Robles. Intended to be a rest stop for travelers along the Camino Real Trail, the area soon became highly popular for its bright future in pioneer settling and the mineral baths created by neighboring Franciscan priests. It didn’t take long, just until 1864, for the El Paso de Robles Hotel to be constructed, featuring a hot mineral bath house. As Paso Robles began growing into a city, a new hotel began construction. 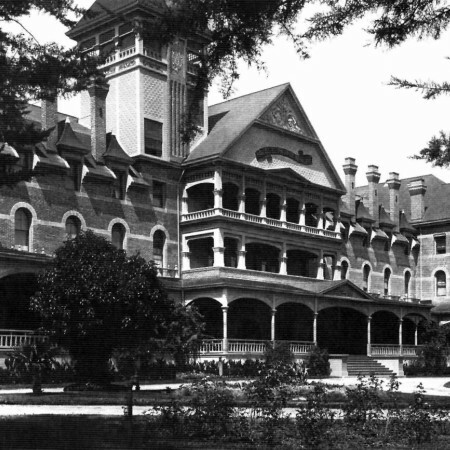 The magnificent grandeur of the new El Paso de Robles Hotel stood three stories tall with a seven-acre garden and a nine hole golf course. Improvements continued to be made and famous guests began to visit, such as Ignace Paderewski and Theodore Roosevelt, until a tragic fire in 1940 destroyed the hotel. It only took two years though, for a new and improved Paso Robles Inn to be constructed and opened for business! The hotel is still fully functioning today, proud to be a member of the Historic Hotels of America. Experience the past and enjoy the present by staying in the heart of downtown at the Paso Robles Inn! BarrelHouse Brewing Co. is a popular Central Coast brewing company, with their main brewery and tasting room located in the heart of Paso Robles wine country. As you make your way off the beaten path towards their location, the road will take you past a large oak tree. 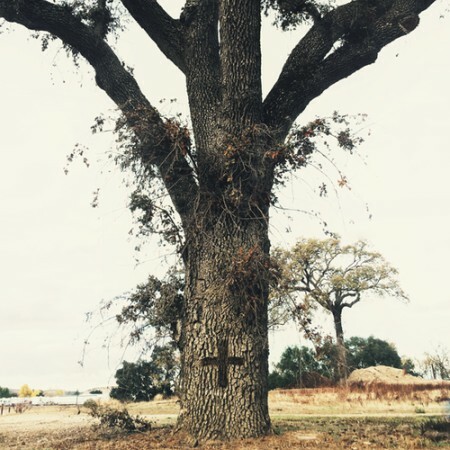 This majestic white oak was originally right where construction intended to go through in order to continue building for the road, but after noticing the large, equal-armed cross it’s historical significance was discovered. This cross was carved into the white oak around 1775 when Spanish Lt. Colonel Juan Bautista de Anza led over 240 people from New Spain to settle in Alta California. Historians believe the cross was intended to tell travelers this spot was a safe place to camp on the hard journey of the Anza Trail. BarrelHouse Brewing Co. likes to think Colonel Bautista carved the cross to mark the perfect spot for a brewery! Although maybe not the historical answer to this carved cross, the location sure did prove to be the right choice to produce their craft beers and entertain customers! Seven generations of Steinbeck family members have owned and operated Steinbeck Vineyards & Winery, starting all the way back in 1884. Originally pioneers hoping to find success farming in the new area of Paso Robles, their ancestors took a liking to grapes and wine about 125 years ago. Today each generation strives to continue the family legacy of hard work and producing an excellent product, still living off the land and practicing responsible, sustainable farming. Family members continue to show passion and dedication to growing the Steinbeck brand, ensuring this piece of Paso Robles history will live on forever. With Harris Stage Lines you can transport back to Paso Robles’ beginnings with an authentic trip in a full size Western Concord Stagecoach. 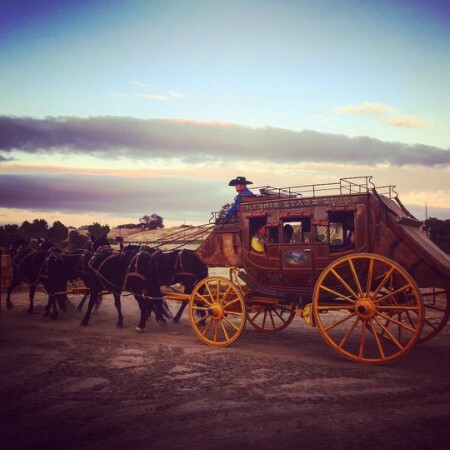 Experience Paso Robles as it was in the 1860s, touring by stagecoach and even experiencing the Wurlitzer of the West, an authentic 1,000 pipe theatre organ built in 1922. Owners Tom and Debby Harris, renowned in the equestrian community, have created this amazing experience to even include a tour and demonstration in their livery stable. Don’t miss out on your chance to see first-hand how the American west was traveled and settled! If you’re the resident history-buff of your family, there are tons of more ways to explore the rich history of Paso Robles. The Paso Robles Pioneer Museum is a collection of visual and written history of the cultural heritage of Paso Robles. Their free exhibits are great way to immerse yourself in this history all in one spot! In addition the El Paso de Robles Area Historical Society collects and preserves historic properties, objects, and papers related to this area, so this is the perfect place to visit to find out more about the area’s history. Its home base at the Carnegie Library contains archival photographs and documents to be examined, and exhibitions are often held to showcase specific topics. Visit their website to find out more.